It took me 10 years since I started working and earning before I activated and used my first credit card. I have been sent five CC's before but I never really activated one because I just don't like the idea of credit. Knowing myself, that given power to overspend also does not look good. But I love travelling. And I am always excited every time I book plane tickets to a new place. 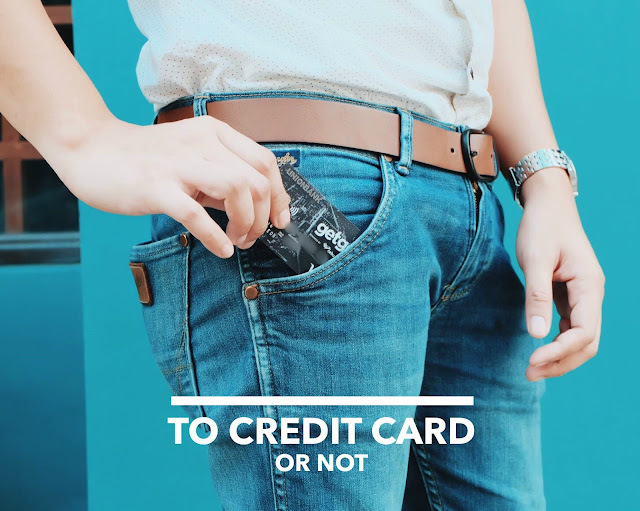 So when Unionbank partnered with GetGo, Cebu Pacific's loyalty rewards program, I considered taking on the responsibilities of a credit card. With the concept of earning more travel points after you use your credit card to book for flights and other things that you may use on your travel (bags, your out-of-the country fashion stuff, and... a mirrorless camera! ), I gave in, used my Platinum Unionbank GetGo credit card to book a ticket to.... (will be revealed on the next blog). 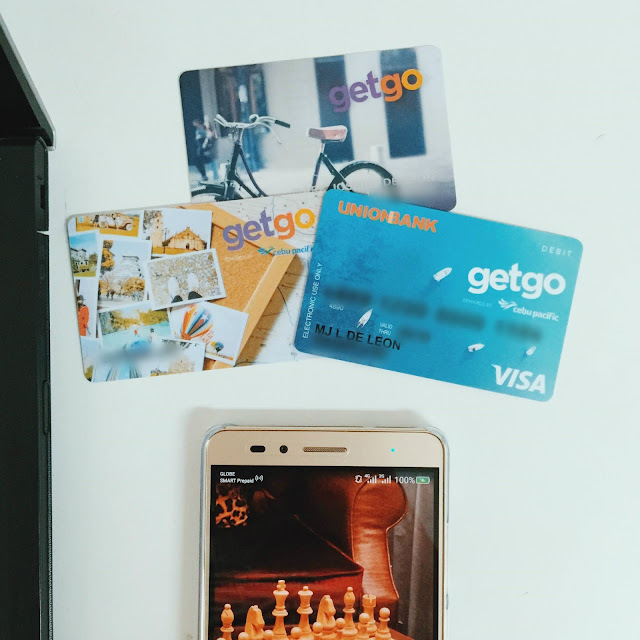 Why is earning a GetGo point important? You might have probably heard about Cebu Pacific's extremely popular Piso Fair where you can fly to Hong Kong for a plane ticket cheaper than a bus from Manila to Baguio. Cebu Pacific is holding separate promos for GetGo members too. They have the tendency to be super generous. Like they can give flights to Japan for as low as 10 points! And how easy it is to earn 10 points? I booked a flight from Manila to Cebu late last year and added the transaction to my GetGo online account. I earned 188 points for one way and another 218 points for my way back. 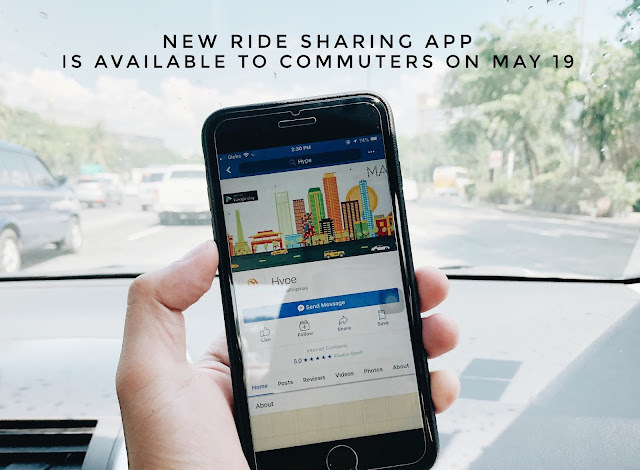 In general, you will earn 1 GetGo point for every 5 Philippine pesos spent on the base fare and other add-ons like seat selector and meals. However, that scheme will change if you book promo'd flights. I got the cheapest regular flights then so the points were not much. The points appeared on my GetGo account 24 hours after my flights. You can store these points on your account so the next time that they will roll out a super promo to your fave destinations, Australia and the Middle East included, you have points to spend! Now, there are more ways for your to earn GetGo points. You don't need to overbook for flights just to get free trips. You can also earn points by shopping for other things that you really need or paying your utilities using your Unionbank GetGo credit card. This process is making the earning points faster and more practical. The thing is, you have to get and pay for these things because you need them in your life and earning points from them just makes the process effortless. 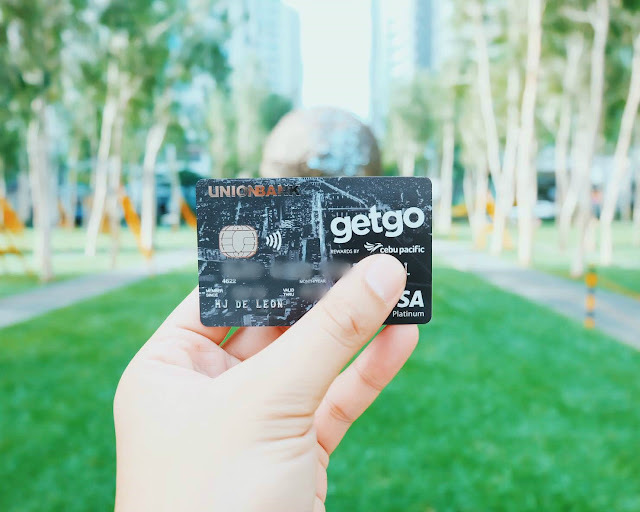 You can earn 1 GetGo point for every PhP30 pesos spent on your credit card.But if you are still not comfortable with a credit card but want to earn flight points from your daily purchases, there is the Unionbank GetGo Debit Card. The conversion is lower though, PhP88 spent for 1 GetGo point. Still good though, thinking that you earned points by paying your bills. From daily expenses to new experiences. If you are ready to fly for free - go here.